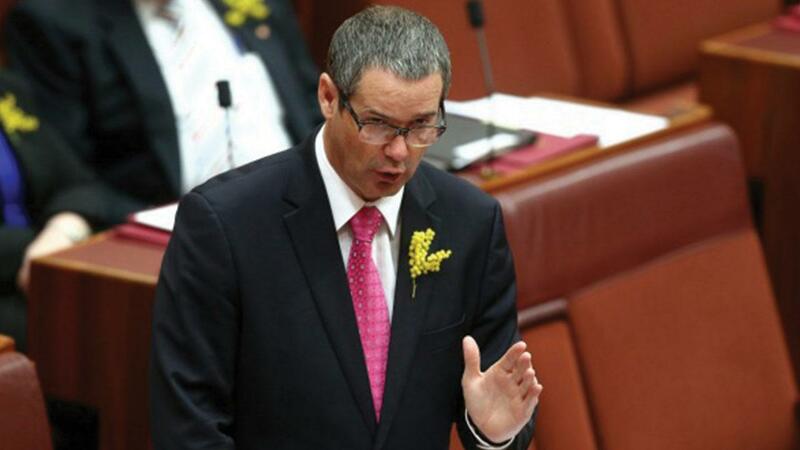 Last week Victorian Labor Senator Stephen Conroy resigned after only a couple of months into his six year term. He will now need to be replaced. How this occurs is stipulated in Section 15 of the Constitution which was amended at a referendum in 1977. A new Senator is appointed by the State Parliament and the appointee must be someone from the same political party as the retiring Senator. You might wonder why there wouldn’t be a by-election. That seems like the democratic thing to do. But because the electors of the whole state would need to go to a by-election the expense was deemed to be too much of an obstacle for the people who wrote our Constitution. They did examine whether a new Senator may be chosen by the people at the next general election, State or Federal, in that State. The original Section 15 of the Constitution did stipulate that the House of Parliament of the State of the Senate vacancy would sit and vote together to choose a person to fill the vacancy. The new Senator would take the seat until the term expired or an election was held and a successor voted in by the people. So the replacement Senator was like a night watchman, just holding the place until the people could choose someone themselves. Once an election was held for the House of Representatives or the Senate, the seat would be up for election. An example of how this would have occurred for Stephen Conroy’s seat prior to the changes to the Constitution in 1977 is described. The two Houses of the Victorian Parliament would sit together and choose a new Senator and that person would hold that place until the next election. The next election would be held somewhere between August 2018 and May 2019. Then at that election there would have been the normal six Senate places up for election (which would expire on 30 June 2025), plus the old seat that Conroy held, which would expire on 30 June 2022. You can see the conundrum in this section. The Parliament of the State chooses the Senator. So if a seat becomes vacant after a Labor person passes away or retires a State Liberal Government might choose a candidate from their own party or an independent, rather than from the party that the people chose at the election. This is what actually happened in 1975 and contributed to the Constitutional crisis. While it had been a constitutional convention that the State Parliament should choose a new Senator nominated by the same party as the retiring Senator, in 1975 this convention was ignored. Politics was a bit rough around that time. Prime Minister Whitlam appointed the Attorney-General Senator Lionel Murphy to the High Court bench. Many people did not take the political nature of this appointment well, including the NSW Liberal Premier Tom Lewis. As such, the NSW State Parliament appointed the independent Cleaver Bunton to replace the Labor Senator, altering the numbers in the Senate. A few months later in 1975, Queensland Labor Senator Bert Milliner died and the Queensland Premier Joh Bjelke-Petersen rejected the candidate that Labor had nominated to fill the Senate vacancy. The one house of the Queensland Parliament appointed Labor party member Albert Field. Mr Field had assured Joh that although he was a Labor Party member, he was not in favour of the 1975 Labor Party policies. There was a bit of a kerfuffle about whether Mr Field was disqualified from sitting in the Parliament due to Section 44 of the Constitution. He had been employed by the State Government before being appointed to the Senate and as such he had to take leave and unable to vote while the case went to the High Court. This was a fierce time in our political history and the Fraser opposition refused to provide a pair for the Senator on leave. This meant that the balance of power was further altered, giving the Coalition a majority in the Senate. The opposition then refused to pass supply (breaking another convention), which began the Constitutional crisis. Later that year the Governor-General sacked Whitlam and placed Fraser in the role of Prime Minister. Not long afterwards a double dissolution election was held. It was decided pretty soon into the new Government that Section 15 of the Constitution should be amended to make it clearer how a Senate vacancies should be filled. A referendum was held in 1977 and the amendment to Section 15 was approved by a majority of people in all six states with a total of 73.32% voting ‘yes’. Like most sections of the Australian Constitution, Section 15 used to be short and concise. The 1977 version is really long. We’re not going to list it, but you can click here to read it. Interestingly this is the only section of the Constitution where you will find the word ‘party’ and that was added in 1977. So now section 15 states that the replacement Senator must come from the same party. However, it is still only a convention that the person is nominated by the party, rather than the State Parliament. So a Liberal State Government could technically appoint any rank or file member of the Labor Party to fill a Senate vacancy made by a Labor Senator (which happened in 1987 and was only resolved by a double dissolution election). We also lost the right of the people to choose the replacement Senator at the next election. The old Section 15 would have meant that the Victorian Parliament would only have placed someone in Stephen Conroy’s seat until the next election. Some might think it a shame that we lost this right and perhaps the legislators didn’t make clear that the party nominates their chosen candidate. Because there is now no concern about changing the balance of power in the Senate by resigning or the risk of losing the seat at the next federal election, the number of Senate resignations has increased. Section 7 of our Constitution states that Senators shall be “directly chosen by the people”. The new Section 15 makes it so that Senate vacancies are chosen by the party. While it was not intended when we changed this section of the Constitution, the parties can now parachute into the Senate anyone they like. The elevation to the Senate of former NSW Premier Bob Carr….to facilitate his appointment as Foreign Minister….revealed a surprising consequence of the 1977 constitutional change. Where Section 64 of the Constitution requires that a Minister must become a Member of Parliament, and Sections 7 and 24 specify that the parliament consists of members "directly chosen by the people", the amendment of Section 15 has created a new mechanism for ministerial recruitment by political parties. A constitutional change intended to stop state and commonwealth governments from manipulating the party composition of the Senate has become a new mechanism for recruiting Ministers, similar to how political parties treat the United Kingdom's House of Lords and Canada's Senate. Does this mean that the Senate has become an instrument for the political parties rather than the State? There are those who argue that the parties are able to manipulate the Senate through Senate vacancies. However, on the election Senate ballot paper the major parties select the candidates they prefer in their chosen order. And the Senators are generally elected in that order (except in Tasmania this year – where 28.1% of people voted below the line and chose the final Labor candidate that they preferred). Most people still vote above the line and accept the candidates that the parties put forward. Is the party choosing the person to fill the Senate vacancy any different to this? Tell us what you think. Did we throw the baby out with the bathwater when we changed section 15? Or is the method now used to replace retiring Senators an improvement?